Adam Hall and Aberdeen is at the point where every game is a big one and they got a massive 10-1 win over the Tri-City Valley Cats. It included some new records, some tied records and some incredible pitching from just two 'Birds. Prior to this game, no IronBird had ever had a hit in 19 straight games. Hall changed that with a huge one, a leadoff triple in the first inning. He came home to score on Robert Neustrom's first RBI single of the night. Hall finished the night with 5 At bats, he scored 2 Runs, off 4 Hits that included the Triple. J.C. Escarra reached on a dropped third strike and scored on a sacrifice fly from Cody Roberts. Just as the IronBirds did in the first two games of this series, they led 2-0 early. Aberdeen had a blast in the 5th inning. Hall started it off with his third hit of the night. J.C. Escarra hammered a homer to score him and make it 4-0 with no outs. Neustrom and Alexis Torres followed up with some knocks of their own. Roberts had another sac-fly to score Nuestrom, and Nick Horvath was up next. Horvath hammered a two strike fastball over the right field wall for his second homer in the last two series. Through five it was 7-0 'Birds. Neustrom had his second three hit game in two nights with an RBI single in the 6th. He scored Escarra who singled and made it 8-0. Gray Fenter completed one of his best starts of the season. He tossed six innings, allowed two hits and did not walk a soul. One of the two hits was a soft grounder, the other was a solo homer for Ramiro Rodriguez which would be the only run for Sri-City. 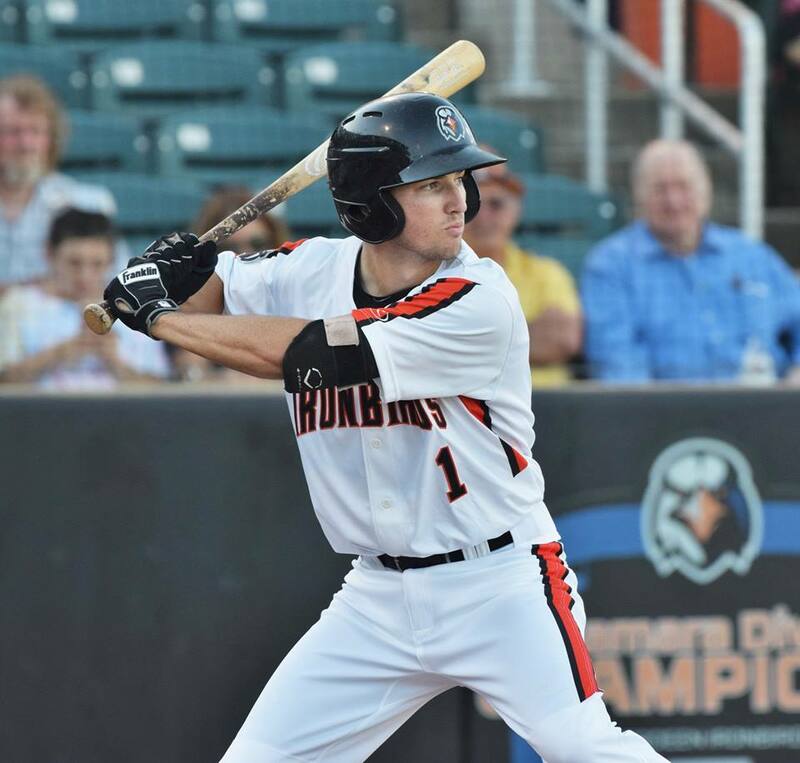 In the 7th inning, Nick Horvath did something only seven IronBirds in history had done. A second homer of the night made it 10-1. The last three innings were taken care of by Javier Echevarria. He tossed all of them and did not allow a single hit. Aberdeen cruised to a 5th straight series win.